a Windows chess program dedicated to the mass market, featuring an adjustable game AI and personalities, a variety of 3D chess boards and pieces, 2D boards, single- and multi-player and adventure modes, online play, and chess teaching tutorials. 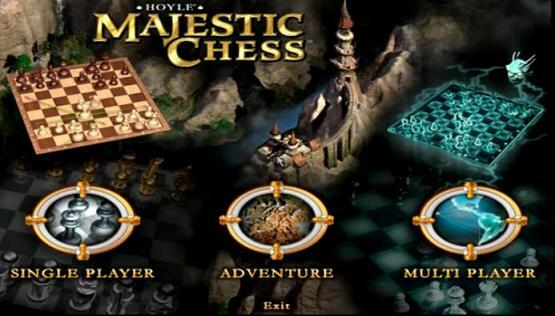 Majestic Chess was developed by Fluent Entertainment, Inc. , founded by former Mindscape product manager Donald W. Laabs, released in 2003 by Vivendi and Sierra, with John Merlino as associate producer, and David Bringhurst in DirectX graphics  and GUI programming involved . The chess engine is based on WChess 2000 by David Kittinger  .